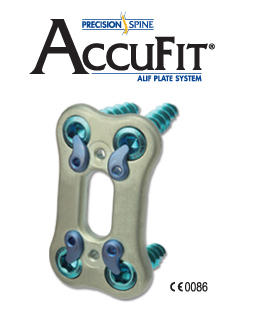 The AccuFit® ALIF Plate System is a lumbosacral fixation system offering two low profile plate designs to facilitate anatomical fit and protect surrounding vascular structures. The AccuFit Plate features an intuitive one step locking system that provides visual locking confirmation and a large graft window for extensive visibility to the endplates, as well as the interbody spacer. 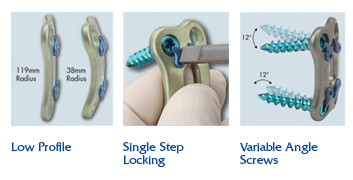 Fixed and variable screws in 5.0 and 5.5mm sizes are offered to accommodate surgical preferences.